A new e-book store is coming with Windows 10 upcoming Creatures Update. Today, a new e-book store shows up in the internal mobile build, however, the e-book store will also be available on both PCs and tablets running Windows 10. 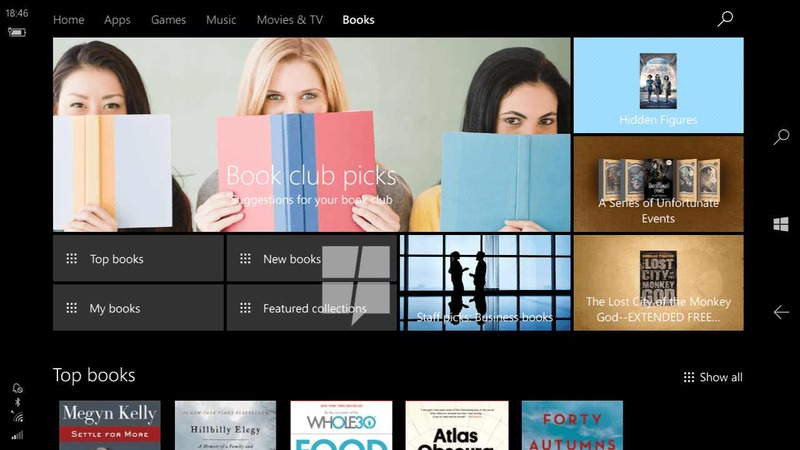 The new e-book store section will appear in the Windows Store. Interested users will be able to buy books from different publishers and authors. Once purchased, you will able to read the book on Microsoft Edge. Microsoft Edge will collect all your purchased e-books and they will show up in its dedicated section for e-Books. Also, you will be able to add bookmarks into any book you are reading or easily view the table of contents. Additionally, you can also customize the EPUB Viewer’s theme, change the font and the font size. Microsoft will release e-book store with Windows 10 Creators Update. Insiders will able to test this new feature with upcoming insider preview build.